Each week study a master or movement and use as inspiration for art making. A class for budding artists. Each week study a master or movement and use as inspiration for art making. 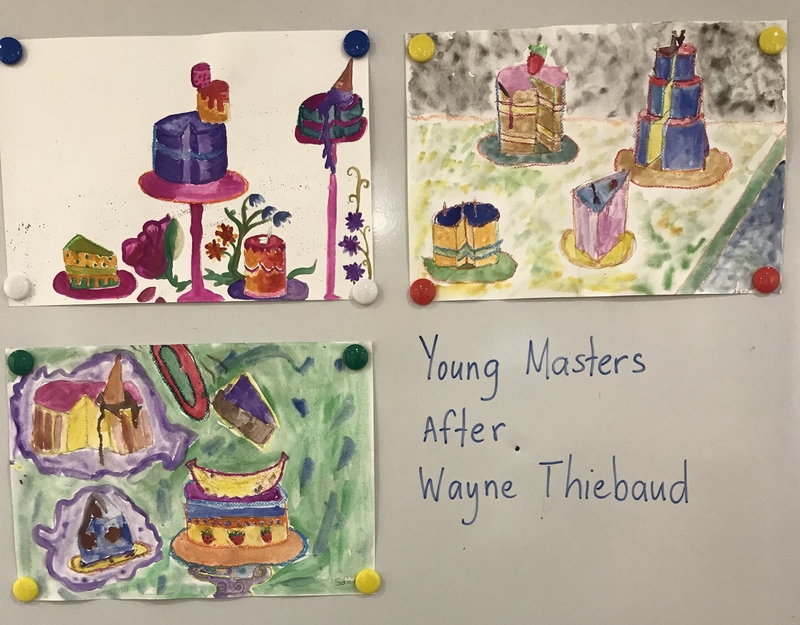 Masters studied so far have included Kandinsky, Picasso, Marc, Dali, and Wayne Thiebaud, but there are many more to come. Materials supplied, just bring your imagination and a readiness to be creative.